To keep the outside areas in your business property and home clean and looking good you can use our professional pressure washing services. They will restore the real colours and shine of the tiles, slabs, concrete and natural stone surfaces. We work in close coordination with the customer and offer excellent hot and cold pressure washing which brings great results. Rely on our qualified technicians to make your pavements, tiles and stone outdoor areas perfectly clean. Our company is located in Hampstead NW3 where we provide our patio cleaning services to owners of domestic and business estates. Use them to enhance the condition and appearance of your outdoor areas. Our patio cleaning services guarantee perfectly restored and improved paved, tiled, stone and brick surfaces. They are conducted by skilled and experienced technicians who know how to use jet washing machines effectively and safely. We can restore the bright and vivid colours of the tiles, concrete, stone and brick areas outside houses and business estates. Slabs, tiles and natural stone areas tend to get filthy and darker as time passes. 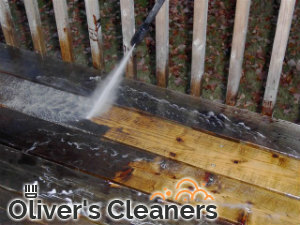 We can implement in-depth patio cleaning in Hampstead and nearby to property owners. Using hot water under low pressure and cold water under high pressure, our staff can remove all contaminants, stains and dirty marks. They can also eliminate overgrown patio areas removing moss, weeds and algae. We can apply suitable sealants on every patio to make it non-slippery, protected from weeds and moss and resistant in the future. 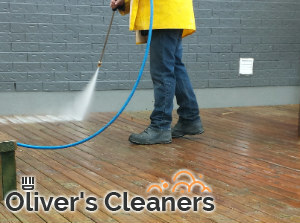 Use our effective and trustworthy veranda cleaning washing available in NW3 during weekdays and weekends. We guarantee you excellent work done in line with the customer’s requirements.